NOTE: This translation of the Island Resolution Marine Park Bonaire has been prepared to assist interested parties in understanding the content of this resolution. ONLY the original Dutch Resolution is to be used to resolve legal matters. felling: cutting, removing, trimming, destroying and rubbing of plants. Washington Slagbaai Park: a nature park, that the Island territory of Bonaire, by an October 9, 1990 (archive nr. 3499) management contract, has given to the National Park Foundation (STINAPA Bonaire) to manage. Furthermore, it is a protected area established pursuant to Article 4 of Island Ordinance Nature Management Bonaire. 2. The definitions in Article 1 of the Island Ordinance Nature Management Bonaire are incorporated herein. It is forbidden to use a protected area without paying a user’s fee. The fees for entry and use of a protected area, are set forth in Appendix III of this Resolution. 1. The manager is authorized to collect the user fees. 2. A receipt or order from the manager will serve as evidence that the fee has been paid. b. to persons or businesses who offer facilities for use in a protected area; or c. at other locations to be designated by the manager. 4. The persons or businesses referenced in paragraph 3, section b, must either collect the users fee from their customers or confirm that their customers possess a valid payment receipt. 1. Persons or businesses referenced in Article 4, paragraph 3, section b, must purchase sufficient payment receipts from the manager to correspond with the number of customers expected in a week. 2. Payment receipts which are not correctly completed or which are not used within a particular time period may be exchanged for new payment receipts, with the consent of the manager. 1. A payment receipt may be either a receipt form or a receipt form and a tag, each numbered alike and each given to the user at the same time. 2. Payment receipts are not transferable. 3. Only a receipt form will be given to the user when the use is limited to one day. 4. Duplicates of receipts will be given to the manager, upon his demand, by those who have supplied them. 5. 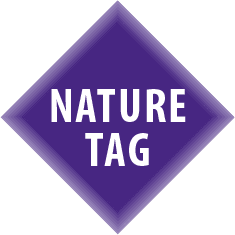 If a user is given a tag as part of a receipt, such tag is to be attached to his clothing or his equipment so that it is clearly visible. 6. A user is obligated, upon request, to show the tag and the receipt form, or only the receipt form when no tag is required, to persons charged with the management of a protected area. 1. It is forbidden, without a permit from the Executive Council, to remove plant or animal species from a protected area. 2. The prohibition set forth in paragraph 1 does not apply to fish, crustaceans and mollusks that are gathered by hand or by traditional fishing gear insofar as such activities are permitted. 3. Traditional fishing gear is limited to fishing lines, and rods, as well as casting nets (tarai) and dragnets (reda) which are both manager approved and certified. 4. The prohibition set forth in paragraph 1 does not apply to the gathering or removing of animal and plant species as referenced in Article 19, paragraph 1, by the manager or persons designated by him. n. entering breeding sites or special reserves that have been designated as such; and o. feeding animals. h. making open fires as far as they can cause a danger to the natural vegetation of a protected area. 1.It is forbidden to carry guns, pistols, catapults, traps or other hunting gear into or within a protected area. 2. The prohibition set forth in paragraph 1 does not apply to hunting gear when used to manage a protected area. 1. Protected plant and animal species referenced in Article 11, paragraph 2 of the Island Ordinance Nature Management Bonaire are incorporated by reference in Appendix I of this Resolution. 2. Appendix I as referenced in paragraph 1 is available for public inspection at a location designated by the Executive Council. When managing protected bird species, the Executive Council can order the owner or manager of pylons, high voltage cables or other structures that are located within the approach route of such birds, to equip such structures with warning balls or similar objects. 1. It is forbidden, without a permit from the Executive Council, to fell trees or cacti with a trunk circumference 65 centimeters or more when measured at 1.30 meters above ground. 2. It is forbidden, without a permit, to fell cacti that were planted in connection with either the obligation to replant or other contractual commitments. 3. It is forbidden to fell trees or cacti listed on the list of ‘valuable trees’ of the Bonaire Island Territory. 4. The prohibitions set forth in paragraphs 1 and 3 do not apply to the felling of trees and cacti referenced in Articles 19 or 20 as well as those which the Executive Council determines pose a serious threat to public safety or when a state of emergency or other exceptional situation exists. 1. The Executive Council is authorized to grant a permit when the permit applicant pays a fee for reforestation purposes. 2. The fee, as referenced in paragraph 1, must be paid to the organization referenced in Article 23. This organization has responsibility for managing these fees. Furthermore, this organization will provide a report on the fees collected and their general responsibility as referenced in Article 9, paragraph 4 of the Island Ordinance Nature Management Bonaire. This report shall include a list of the trees planted and their locations in connection with the reforestation efforts. c. $195.00 (Naf. 349,00) for a trunk circumference of 95 centimeters or greater. g. One or more of the abovementioned values that relate to future vegetation. 2. A permit in connection with construction- and development plans can be denied on the sole ground that the plans are not yet final. e. Intrinsic value of timber vegetation. 2. The trees and cacti referenced in paragraph 1 are incorporated on a list established by the Executive Council, which is available for public inspection at a location designated by the Executive Council. 1. It is forbidden, without a permit from the Executive Council, to remove, to collect, to cut, to uproot, to damage or to destroy, mangroves, wayaká, and turk’s cap cacti. The prohibition set forth in this paragraph does not apply when the land is being cleared in connection with building a structure for which a building-permit has been granted in accordance with the Building and Housing ordinance (A.B. 1961, nr, 17) or with any substituted regulation. 2. The Executive Council can order either the rightful or principal user of land or water to remove or take appropriate measures to prevent an increase of plants or animals belonging to the list set forth in paragraph 1. 3. Initially, the removal must take place mechanically. Removal with chemical agents may only take place with a permit from the Executive Council. 2. The Executive Council can order either party entitled to a parcel of land, as well as the principal user of such land, to take appropriate measures to prevent reproduction or propagation of (animals or) plants that are found on his land and that belong to one of the harmful species as listed in paragraph 1.
y. Construction, modification or expansion of building sites and accommodations of 10 rooms or more in buffer zones, nature parks or in areas subject to the Island Ordinance Spatial Planning Bonaire or a substituting Ordinance, which either have the objective of landscape and nature conservation or ecological and environmental hygiene. 2. A permit application, as referenced in Article 16, paragraph 1, of the Island Ordinance Nature Management Bonaire, shall include an environmental impact assessment which complies with the requirements set forth in Appendix ll of this Resolution. c. the preparations for the proposed activity have, at the time that this provision takes effect, progressed to a point where, in the opinion of the Executive Council, it would be unreasonable to demand that an assessment be made. 4. If an application for a permit is granted pursuant Article 16 paragraph 1 of the Island Ordinance Nature Management Bonaire, the Executive Council will include a provision in the permit setting forth a date in the future when the activity which has been approved will be re-evaluated. 5. When the date referenced in paragraph 4 is reached, the Executive Council, in cooperation with the permit holder, will evaluate whether the activity has had any adverse effects on the environment. 6. If necessary, the Executive Council will impose, after input of the Island Commission, additional restrictions on the activity to reduce the harmful effects on the environment that the re-evaluation may have found. c. Applications for a permit or for a permit exemption in connection with beneficial scientific research. The Foundation of National Parks, Bonaire, (STINAPA Bonaire), established on Bonaire, is appointed as manager of the protected areas of Bonaire. The protected areas will be managed in accordance with an agreement between the Executive Council and the manager as referenced in Article 23. The Island Resolution Containing General Measures of March 31 2005 (A.B. 2005, nr. 10) is repealed. 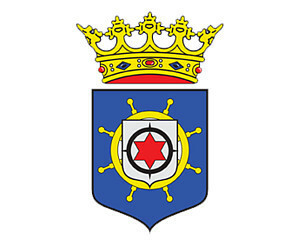 This Island Resolution Containing General Measures, can be referred to as: Island Resolution Nature Management Bonaire. This Island Resolution Containing General Measures takes effect on September 1, 2010, with the exception of Articles 14 and 15, which will take effect on January 1, 2011. This Island Resolution Containing General Measures, is declared by me on …. 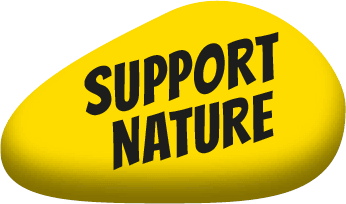 ● = Protected animal and plant species in accordance with Article 11, paragraph 2 of the Island Ordinance Nature Management Bonaire. o = Protected animals and plants species in accordance with Appendix 2 of the CITES Convention (Convention on International Trade n Endangered Species of Wild Fauna and Flora). Specimens of the species on this list require an export permit to be exported. • appendix 1 of the Sea Turtle Convention. Those species that the treaties are required to protect are not included in Appendix 1. In accordance with Article 11, paragraph 2 of the Island Ordinance Nature Management Bonaire, other animal and plant species that are indigenous fauna and flora of Bonaire can be designated as protected species and included as such in Island Resolutions, containing general measures. The above-mentioned list has been kept short because laws protecting animal and plant species not only require environmental criteria but also community support and enforcement measures. Mention on the Red List of endangered species of the World Conservation Union, IUCN, category CR (critically endangered), category EN (endangered) or category VU (vulnerable). This refers to a variety of marine fish species. Indigenous as well as rare, threatened or other considerations. For example, the Sabal Palm (kabana), the Parakeet (prikichi), and the Pearly Eyed Trasher (chuchubi Spaño). Locally threatened or rare. For example, sharks, bats, ferns, orchids, and various tree species. Ecological importance (key species). For example corals, sharks, parrotfish, bats, mangroves, and sea grass. Tourist value (flagship species). For Bonaire this would include the flamingos as well as sharks. (Potential) collectors’ items. Examples include conch (shells), orchids, and turks cap cactus (bushi). For enforcement purposes, entire groups of species are protected because only experts can distinguish species within a group. Examples are corals, sharks, and bats. h. a summary of the environmental impact assessment that is clear enough for the general public to understand and evaluate. g. the procedures as set forth in Article 19 of the Island Ordinance Nature Management Bonaire will be followed when processing the permit application. The temporary commission, referenced in section b, will provide advice on the quality and completeness of the environmental impact assessment. Appendix III as referenced in Article 3 of the Island Resolution Nature Management Bonaire and;. Appendix I as referenced in the Articles 2, paragraph 1, Article 19, paragraph 1, Article 22, paragraphs 1 and 2, Articles 33 and 36 of the Island Resolution Marine Park Bonaire. i) use of an artificial beach as referenced in Article 35 of the Island Resolution Marine Park Bonaire: $280.00 (naf. 500,00) per year.